Most everyone around these parts knows that the San Diego River, starting in the mountains to our northeast near Julian and captured at El Capitan Reservoir about 30 miles northeast of downtown San Diego, is a significant water resource for the city, but a lesser-known also important source, Cottonwood Creek, starts in the Laguna Mountains farther south. 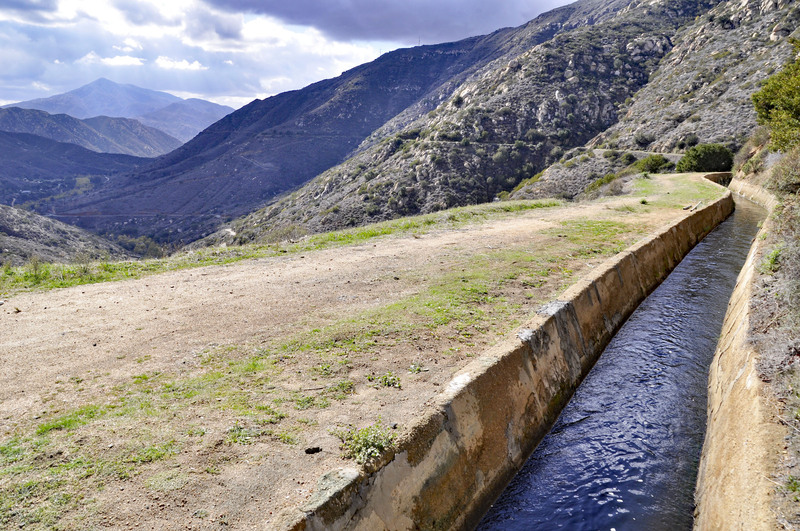 Cottonwood Creek first drains into Morena Reservoir, about 45 miles east/southeast of San Diego near the community of Campo. 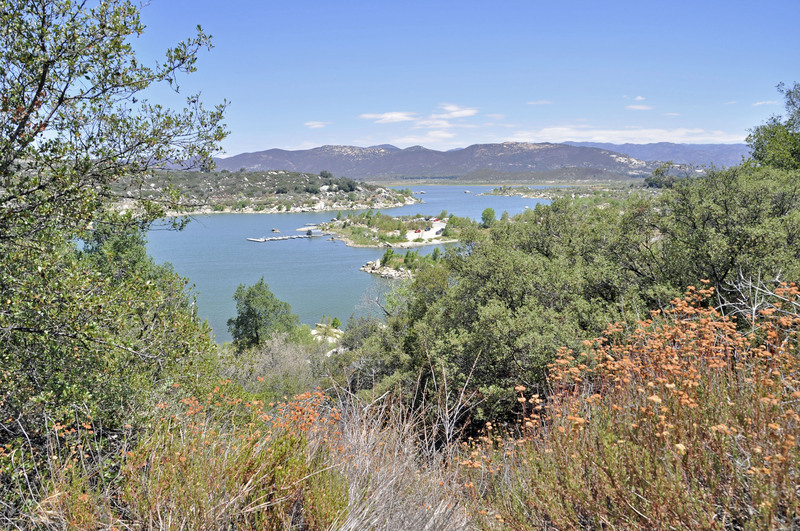 The reservoir also captures water from Morena Creek. 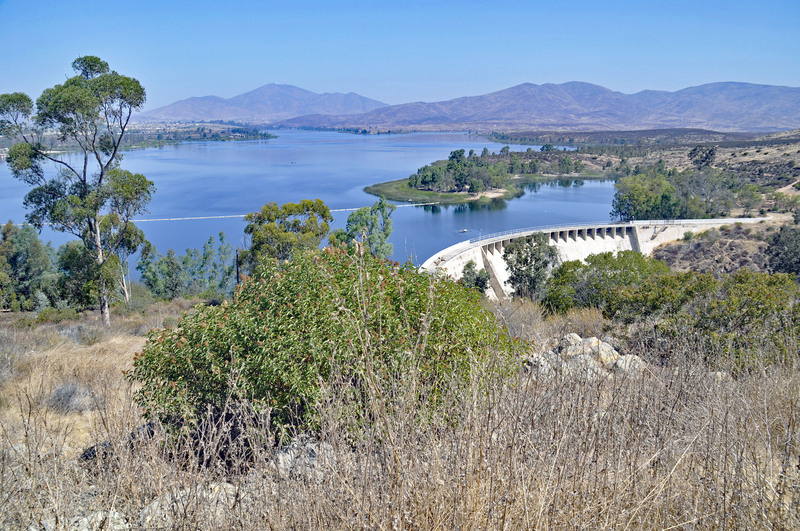 Because the reservoir is very wide and shallow, losses from evaporation are considerable so when it’s feasible the City prefers to release most of the water downstream to Barrett Reservoir which is narrower and much deeper, where evaporation is less of a problem. 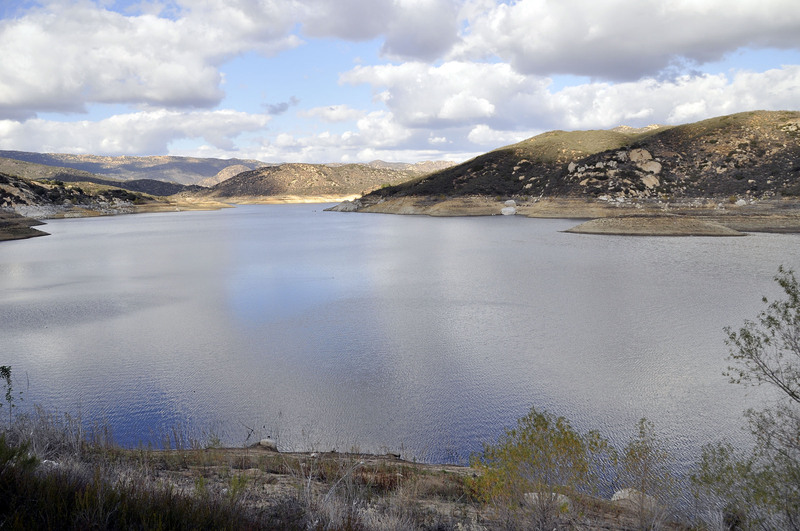 Barrett Reservoir is positioned just below the confluence of Cottonwood Creek and Pine Valley Creek, about 10 miles west of Morena. During very wet seasons if Barrett is in danger of flooding the excess water is released down the dam’s stair-stepped spillway back into Cottonwood Creek. Such events are rare; normally all the water is reserved for San Diego. But Cottonwood Creek, as part of the Tijuana Watershed, is a tributary to the Tijuana River south of the Mexican border, so how does the water in Barrett end up in San Diego instead? Barrett Dam spills into Cottonwood Creek which continues south down the canyon to the right. 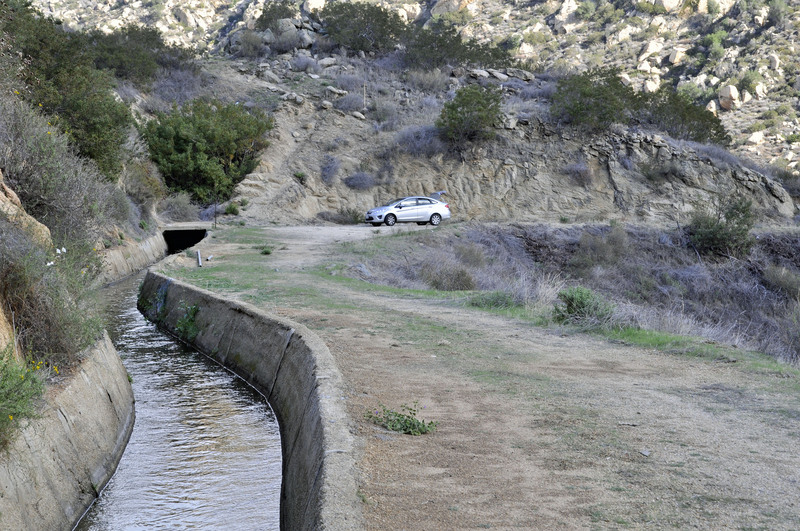 The Dulzura Conduit is a 13.38 mile-long aqueduct built to divert water from Cottonwood Creek to San Diego. 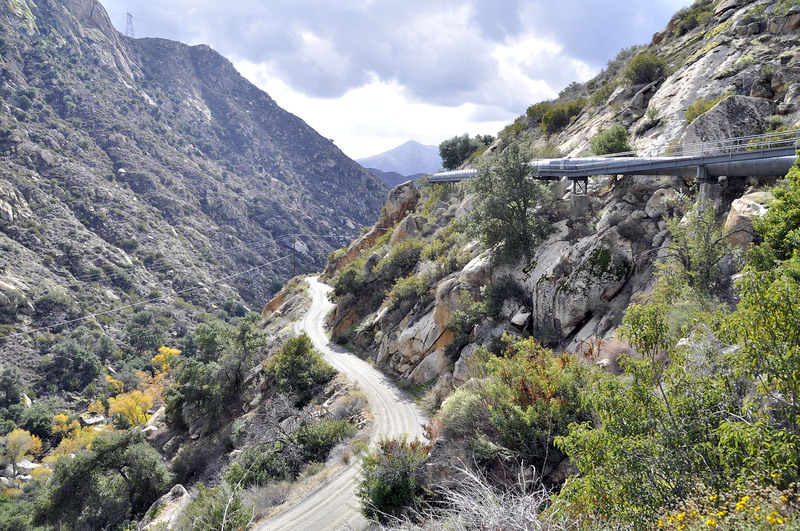 Originally comprised of dirt channels, redwood flumes, and nearly two miles of tunnels through rugged territory (all dug by hand), the conduit was constructed in the years 1907-1909 by the Southern California Mountain Water Company under a plan devised by John D. Spreckels. A portion of the Conduit consists of a dirt channel lined with concrete. The Conduit remained operational through the mid-1980s by which time the wooden flumes were so deteriorated and maintenance costs so high that it was taken out of service. The Conduit was renovated in the mid-1990s and the wooden flumes were replaced with new steel pipelines on concrete and steel supports. Because it was impossible for ground vehicles and equipment to reach some locations, helicopters were needed to supply concrete and to place a steel truss bridge and large pipe sections. A renovated segment of the Conduit. Covered channel transitions to pipeline where the slope becomes too steep. Flume emerging from small tunnel. 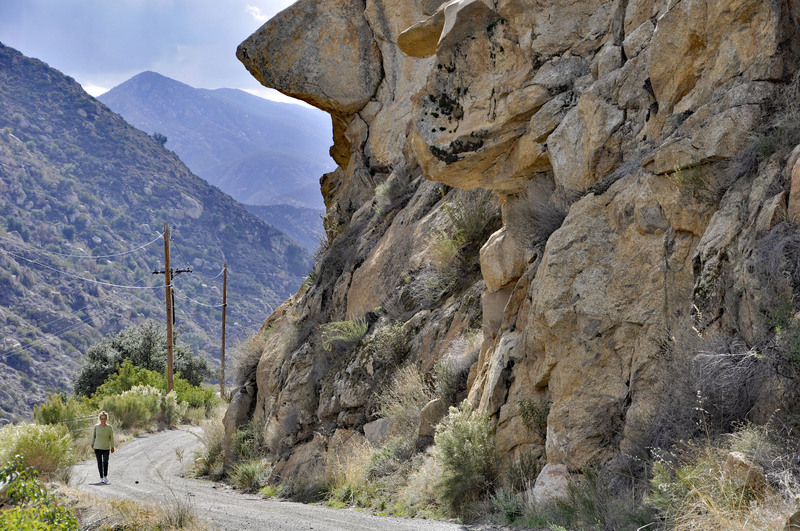 Yes, the narrow dirt road halfway up the steep canyon was scary! Scraps and debris from the renovation project. My wife bravely came along while I was doing these photographs. 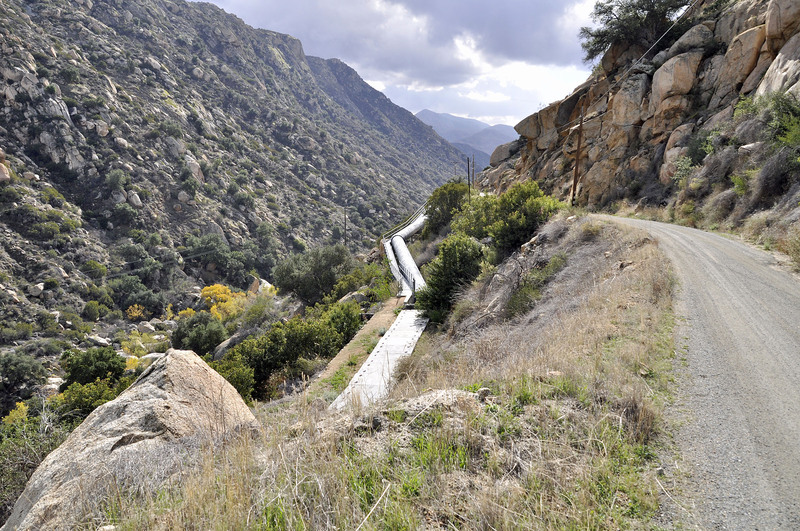 The Dulzura Conduit extends to Dulzura Creek which joins the Otay River which flows west until it reaches its destination at Lower Otay Reservoir in Chula Vista, where a water treatment plant initiates the distribution of water to San Diego customers. 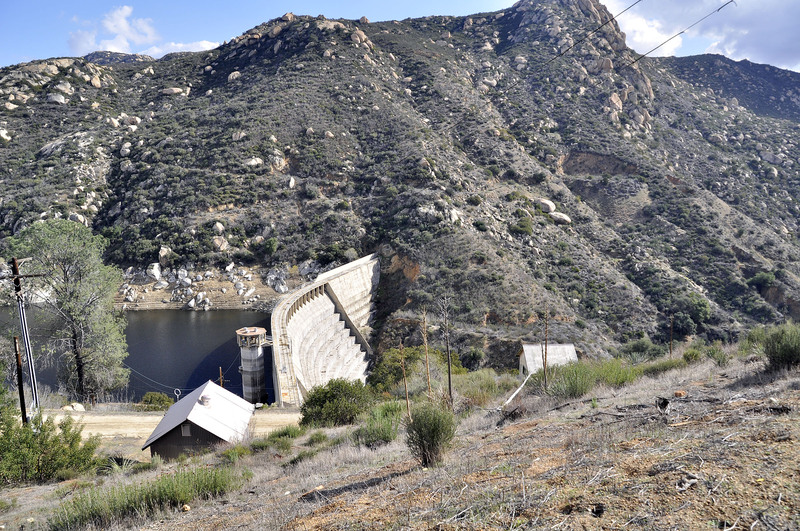 Lower Otay Reservoir and dam. In 2004-2005, runoff from heavy rains severely damaged the Conduit and it again was out of service. Before repairs could be performed the Harris Fire in 2007 caused further damage and it was some time before extensive and expensive repairs could be carried out. Starting in 2009 a large section of the Conduit’s open channel was outfitted with paneled concrete covers placed by Sikorsky helicopter. Along with other upgrades the Conduit again became operational in January 2011. Although it has a capacity to move up to 40 million gallons per day, diversions are sporadic and the amount varies considerably depending on how much upstream water is available and whether it’s needed. * Many thanks to Brent Eidson of the San Diego Public Utilities Department for arranging my access to areas that are closed to the public. 1. Rehab By Helicopter. Civil Engineering (American Society of Civil Engineers), volume 66, no. 1 (January 1996). 2. Surface Water Supply of the Pacific Slope of Southern California / H.D. McGlashan. Washington: US GPO, 1921. 3. Fowler, L. C. 1953. 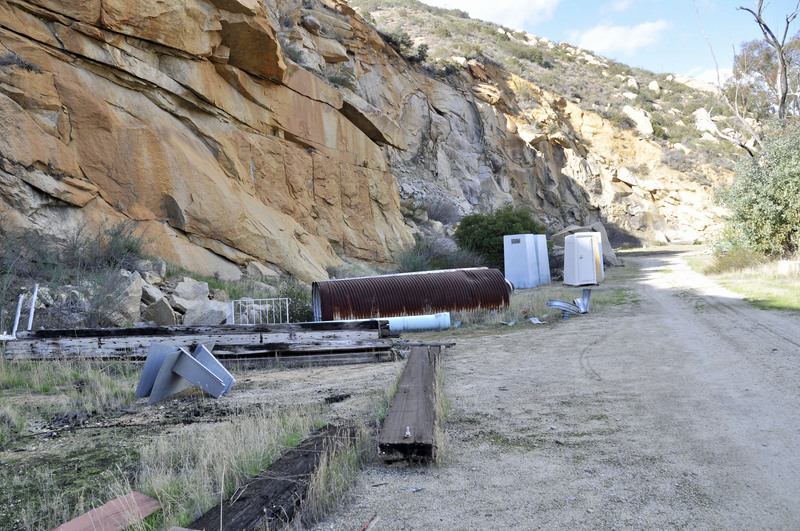 A History of Dams and Water Supply of Western San Diego County. Univ. of California. MS Thesis. 233pp. ISBN 3 1336 04945 8764. This entry was posted on October 24, 2016 at 8:07 pm	and is filed under Water. Tagged: Barrett Reservoir, Dulzura Conduit, Lower Otay Reservoir, Morena Reservoir. You can follow any responses to this entry through the RSS 2.0 feed. You can leave a response, or trackback from your own site. Thanks for this article. I enjoyed the photos.